Great panaromic mountain views make the best place to admire nature. Spacious rooms with a beautiful view of the ocean beaches available. 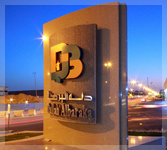 Dallah Hotels & Resorts was founded in 1995 under the guidance of Sheikh Saleh Abdullah Kamel, Chairman and founder of the Dallah Albaraka Group (DBG). We provides superior management and support services for hotel owners. Dallah Management's mission of building the values of our client's hotel investments is accomplished through implementation of our unique management style. Dallah Hotels & Resorts has launched their new website in a process to upgrade its reach and brand image.